Home > Miscellaneous > ANCESTRAL REMEDIES, how do ancients heal the sick ? ANCESTRAL REMEDIES, how do ancients heal the sick ? 3000 years ago, Egyptian and Sumerian pharmacists were preparing willow-based mixtures. Later, the Romans and Greeks used mixtures of willow to heal otitis, gout, cold, conjunctivitis. American Indians were preparing an infusion based on willow bark that had indisputable effects against gutture and asthma. Only in the nineteenth century chemists discovered the principle of the quasi-universal remedy, a bitter-tasting compound called salicin. Aspirin has emerged from these research. Mourning remedies abound in plants that calms the pain. The peoples that Europeans considered barbarians had their own oral pharmacopoeia from generation to generation. The spiders in the Amazonian forests knew over 500 species of medicinal plants. European medicine borrowed from them quinine, against malaria and urine, a paralyzing poison, as a muscle contractor. Excrements of flies, crocodiles, pelicans and even human were used in various diseases. These remedies, which today seem to us to be repellent, had in those days so-called magical virtues. The Chinese treated eyeballs with bat bacon. Analyzes have shown that these excrements contain a large amount of vitamin A, the active principle recommended by doctors today. 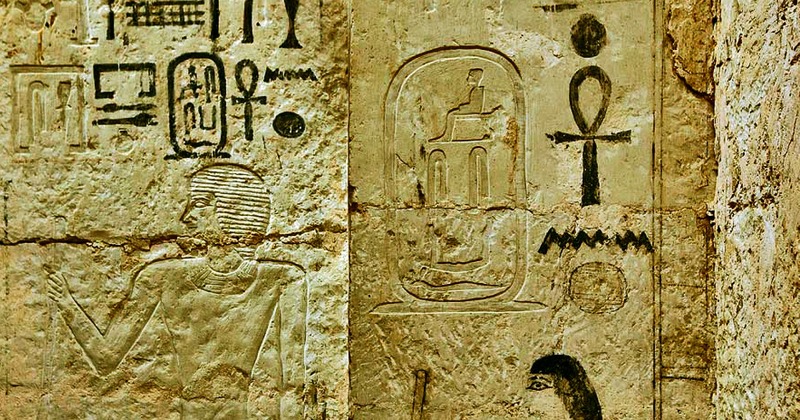 The Egyptians fought off moldy mold infection with which they healed the wounds. Mold has antibiotic properties. Sometimes a disease was attributed to poor distribution of the main fluids in the body. The treatment aimed at removing the body from blood surplus and other secretions. Taking blood was done through an incision made on a vein with a blade or needle and suction cups or leeches. Sweet waterworms, leeches absorb the blood of vertebrates. A painting on the walls of a grave of an Egyptian scribe, dead in 1308, is the consultation of a sick person. The patient is sitting on a chair leaning towards the doctor, applying leeches on his forehead. One of the oldest recipes that has come to our day dates back to the second century BC, and was issued by doctor Nicander, who predicted the use of leeches against venomous bites. Other practitioners recommended them against epilepsy, migraine, pleurisy, madness and gout. Lipizzards originating in Europe were most sought after. Approximately three centimeters long, the leeches had a suction cup at both extremities by which they sucked the blood after practicing an incision in the skin with the help of three corners disposed around the mouth. The lipid preserves the blood in a digestive tube that can expand, containing 53 milliliters of blood. Once enough, the soldier detaches himself from the victim. Researchers claim that leeches bring important services to ear or finger grafts. Before the blood circulation returns to normal, the blood stays in the grafted organ, necrotising tissues. Applied to the graft, leeches have immediate beneficial effects on the graft, accelerating healing. In Wales, a leafy breeders company has been established to provide tens of thousands of copies every year to surgeons around the world.